Dubai will host the 19th Airport Show from April 29 to May 1, 2019. NORD DRIVESYSTEMS will be presenting powerful and cost-effective drive solutions at the specialist exhibition for airport technology that is being held under the slogan “Energy Efficient Airports” for two years now. Reliable technology, customised solutions, global service – NORD DRIVESYSTEMS supplies the optimum drive solution for every airport application. The drive specialists from Northern Germany demonstrate their solution and application expertise at the Dubai Airport Show 2019 in booth G18, hall 4-6. The main focus will be on energy efficient and economic concepts that will allow for significant TCO (Total Cost of Ownership) reductions. 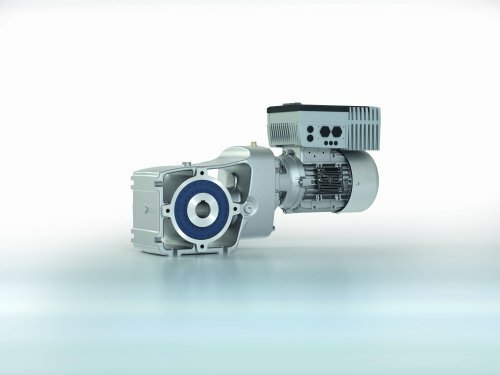 The NORDBLOC.1 bevel gear units produce a power range of 0.12 to 9.2 kW for output torques of 50 to 660 Nm and cover speed ratios of 3.58:1-70:1. They are characterised by high efficiencies, compact design, top reliability and long working life. The FEM-optimised Unicase housing guarantees high rigidity and maximum durability with low weight. Additionally, the modular design provides wide application flexibility due to numerous application and mounting options. With its power range of up to 22kW, its large range of functions and wide range of accessories, the NORDAC FLEX SK 200E is the most flexible inverter NORD offers. The energy saving function for partial load operation facilitates energy-efficient operation: The motor power can be adapted to load changes automatically. In addition, the decentralised frequency converter has an integrated PLC as well as POSICON positioning functionality and offers a wide range of options in terms of functional safety. With simple parameter transfer via EEPROM memory, installation and servicing are quick and reliable. Drive systems count as the main consumers of energy in industry. Therefore, energy consumption provides the greatest leverage for reducing the TCO. 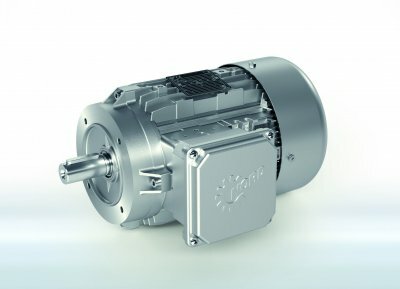 The IE4 synchronous motors by NORD are particularly economical. The use of permanent magnets in the rotorensures extreme efficiency of these motors. . Thanks to this technology, the high efficiency will not change even during partial load operation and at low speeds – ideal for fluctuating loads that occur in baggage handling systems, for example. This can result in significant energy savings and reduced operating costs. Find NORD DRIVESYSTEMS at the Dubai Airport Show 2019, booth G18, hall 4-6. At the Dubai Airport Show 2019, NORD will be showcasing its powerful and cost-effective drive solutions for the airport industry. Find out more. NORD DRIVESYSTEMS develops, produces and sells drive technologies with around 3.900 employees, and is one of the international leaders in the industry. In addition to standard drives, NORD supplies application-specific concepts and solutions, even for special applications, for example with energy-saving drives or explosion-protected systems. Gross sales amounted to approx. EUR 630 mn in the 2017 business year. The company founded in 1965 now has over 36 subsidiaries worldwide. The closely meshed sales and service network ensures optimum availability for short delivery times and customer-oriented services. NORD produces a wide variety of drive units for torques from 10 to 200,000 Nm, electric motors with powers from 0.12 kW to 1,000 kW as well as the necessary power electronics in the form of frequency inverters and servo controllers. Inverter solutions are available for classical installations in the switch cabinet and for decentralised and fully integrated drive units.